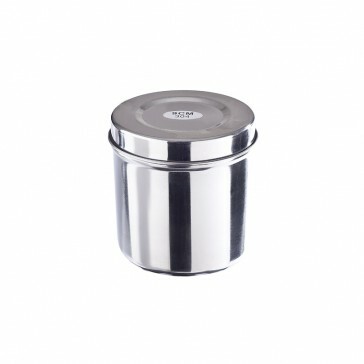 Versatile 9cm stainless steel container with lid. Useful for storing most clinic consumables i.e. cotton wool, alcohol swabs, needles, herbs etc. A great addition to help keep your treatment area tidy, organised and looking professional. Made from professional finish 304 stainless steel makes this container far superior to low grade stainless steel in that it is: more durable, does not react with bodily tissue chemicals and cleaning products used to sterilise.